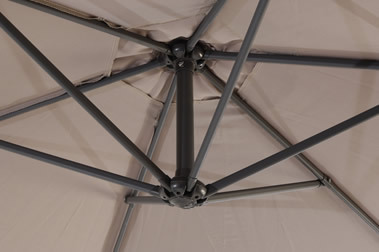 Very high quality Aluminium Cantilever Parasols. 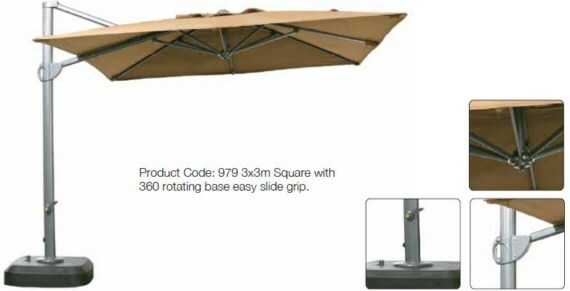 Product codes 979 and 980 are complete with base having a foot operated rotating devise. 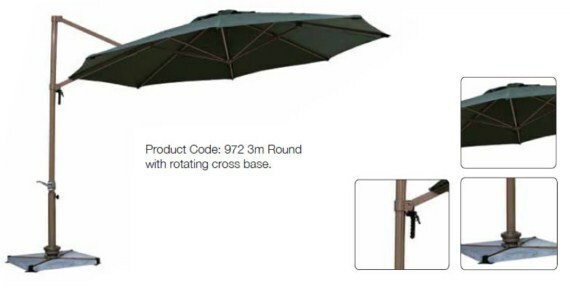 Product codes 972 and 973 come complete with cross base requiring base weights. The base rotates with a foot pedal. 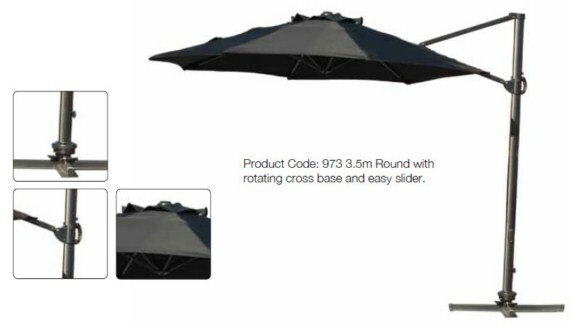 Code 973, 979 and 980 has the patented easy slider for operating the parasol.